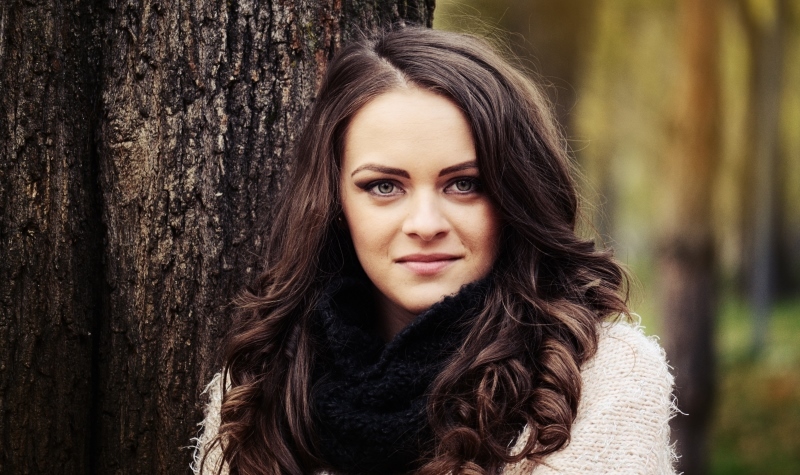 Fall is almost here, and if you are not too big a fan of elaborately planned indoor weddings, then garden weddings are the perfect alternatives for you. A quaint garden strewn with all natural elements is exactly the kind of homely feel that one would love in an intimate ceremony like a wedding. 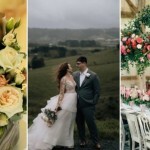 If you too are planning a wedding like that, here are some incredibly lovely garden wedding ideas which you are bound to fall in love with. 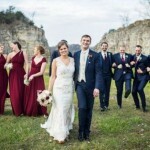 Managing your drinks during a garden wedding can be a difficult task. 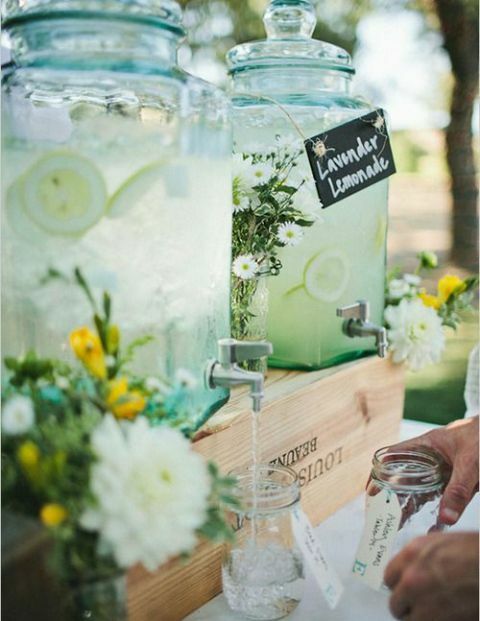 However, if you want to turn a problem into one those fantastic garden wedding ideas, then glass drink dispensers like this with cute labels and floral accessories are bound to become a favorite with the guests. Decorating a garden can be tough when you don’t have large ceilings and marbled floors and flower vases to work with. 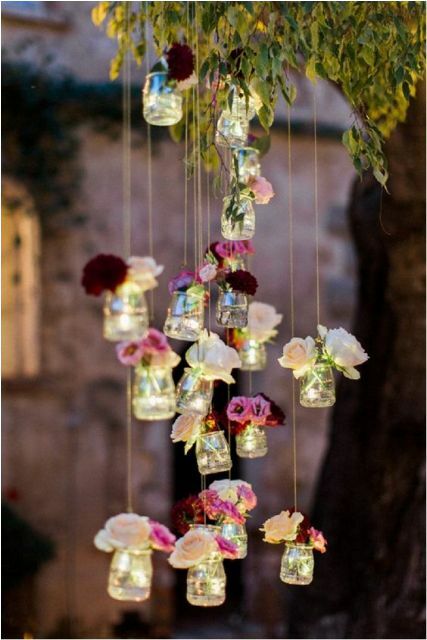 What you do have is trees from which you can suspend these gorgeous flowers in mason jars, which looks like a true aesthete’s dream come true. Succulents and flowers with a tiny bit of fabric is a great way of decorating your aisle, which would otherwise look boring and plain. When you could line your aisle with flowers and beautiful leaves, there is no reason why you shouldn’t go nuts with your florist’s stock. 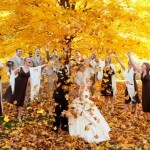 We have already spoken about hanging things from trees as part of your wedding venue decoration. 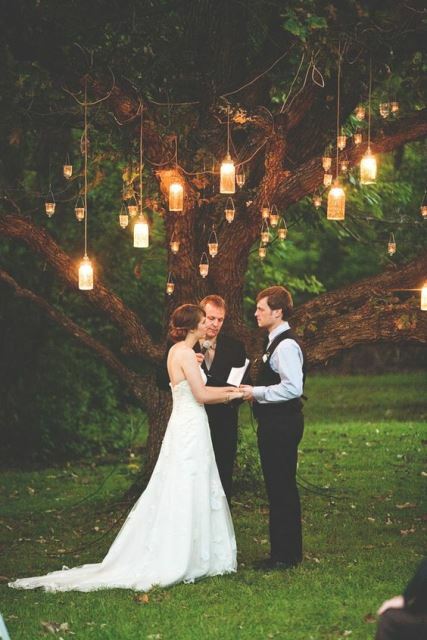 You can make it look even more gorgeous by hanging paper lights from a tree above the place where you get married, instead of an elaborate arch. 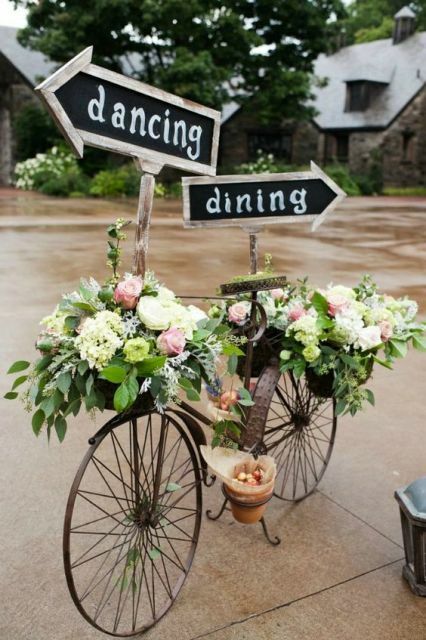 There is more than one way in which you can decorate your aisle when you are hosting a garden wedding. Instead of flowers, you can even introduce wood in the form of door panels, which give you a beautiful, cosy, and unique indoor feel in an outdoor setting. If you want to go a step further and make your dining area or seating area look even more remarkable without using clichéd lighting options, use a cluster of naked bulbs to make it look well-lit and aesthetically appealing as well. 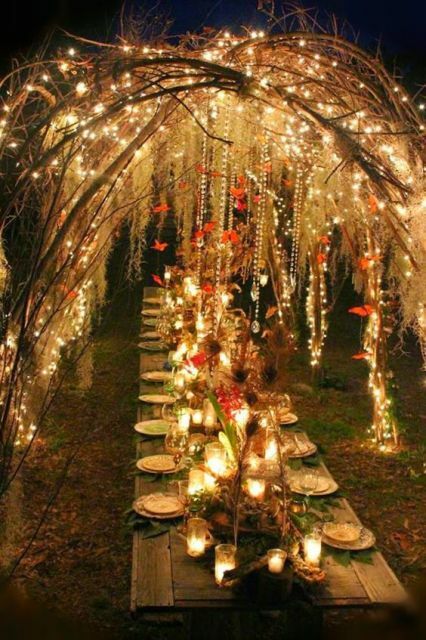 Other incredible lighting options may also include this arrangement, which consists purely of twigs and fairy lights and branches, making it look like a blue fairy tale wedding. 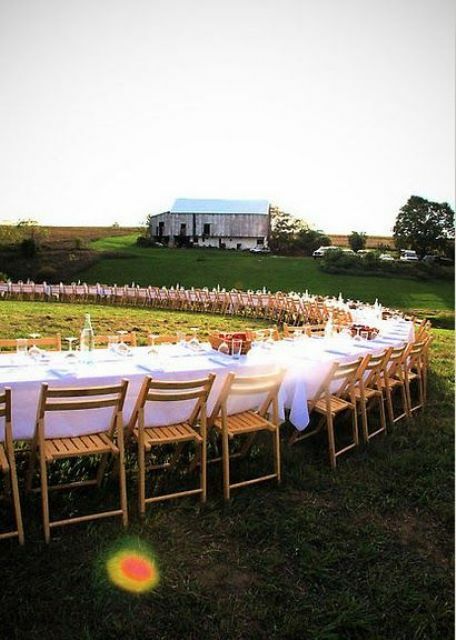 One of the best things about doing a garden wedding is that you have ample space to work with. 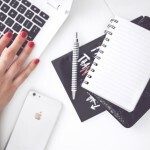 This gives you a perfectly valid excuse to modify the same old boring seating arrangement. Instead of the regular row after row of seats, make a circular arrangement which looks pretty and is also spacious and convenient. 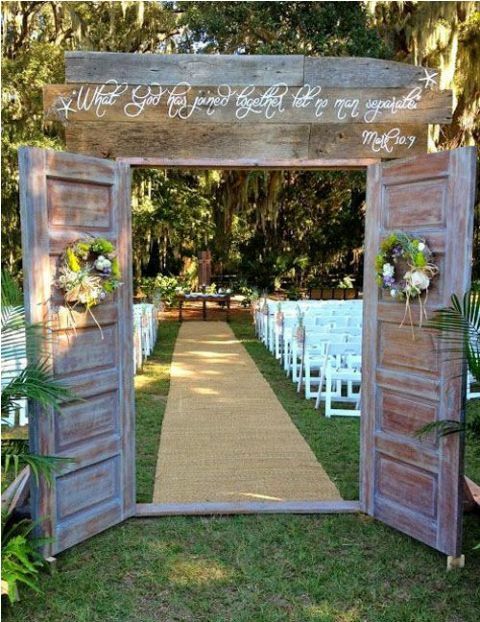 What wouldn’t look out of place at a quaint garden wedding is a rustic installment for your guests. In this case a bicycle laden with flowers and pointer boards, leading everyone in the right direction. 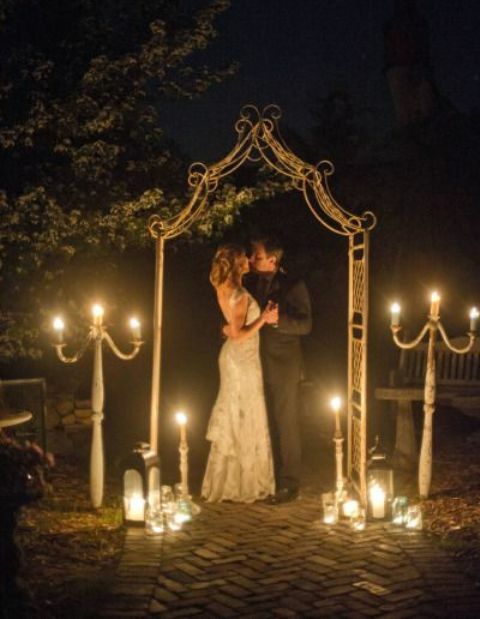 Candles and wooden or metallic arches would look great only if you are conducting a wedding outdoors, so it is one of the more brilliant garden wedding ideas. You can either choose to put this up as your wedding arch, or even an entrance where people can take amazing pictures. 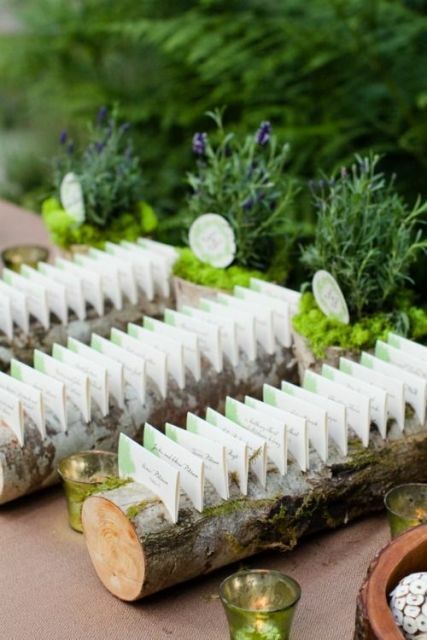 Instead of boring old card holders, you can use a log of wood to hold the pristine white cards, which will make your table and your wedding look rustic and wonderful. 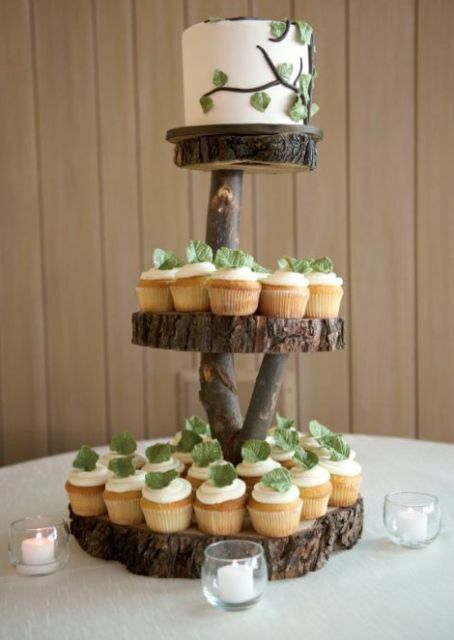 Speaking of logs of wood, you can also use them as amazing food holders, whether it is for cupcakes or other appetizers or fruits. This can give your food table an outdoorsy dimension, as well as break the monotony of a straight surface. When you are conducting a wedding party in the garden, you want your friends to experience the beauty of the garden at its fullest. One of the ways in which they can do this is by walking on the grass and dancing barefoot. 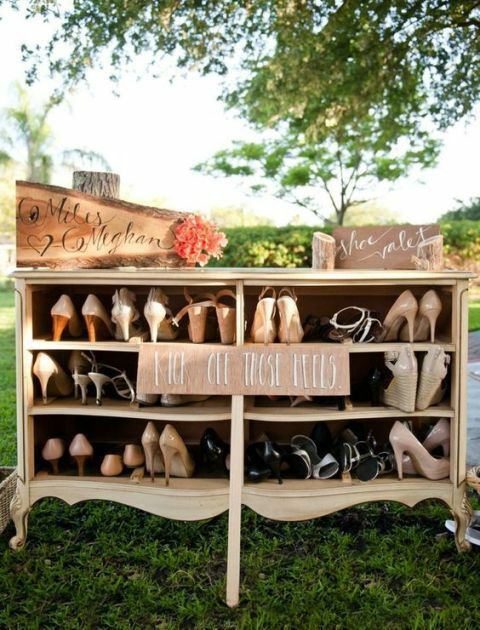 Install a wooden shoe stand for your guests to enjoy themselves without worrying about their shoes. A garden wedding opens up a horde of wedding favors ideas, which wouldn’t make sense if you were having a wedding anywhere else. 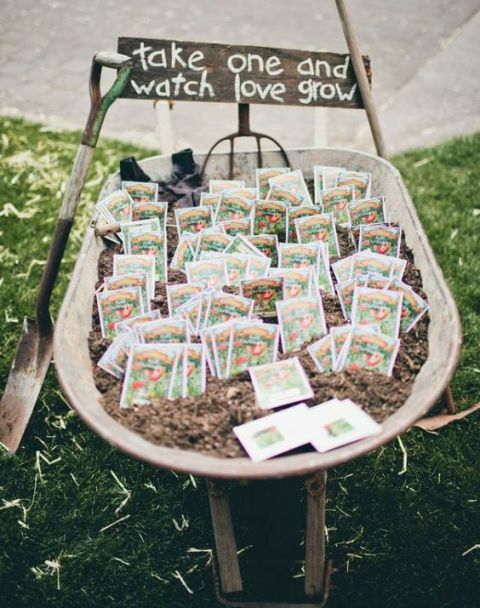 Seeds inside a wheelbarrow look pretty, and they make sense when you install cute signs like this one along with them. 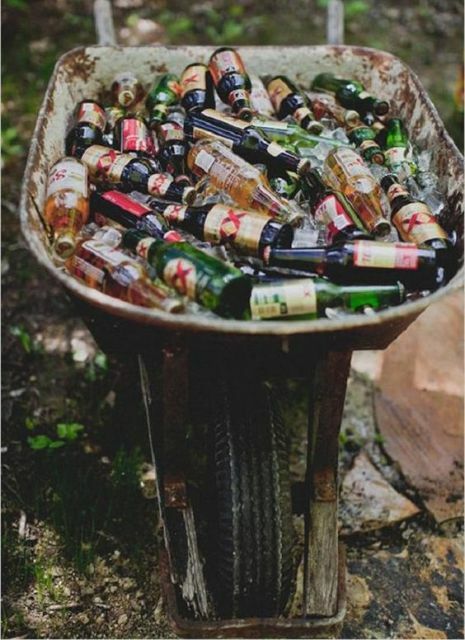 Your wedding is probably the last place you thought you would be making use of the old wheelbarrow in your shed, but using one of those old things as a container for drinks for the wedding party is a resourceful, cheap, and beautiful idea. Table cards and place cards are pretty, but they are not unique. 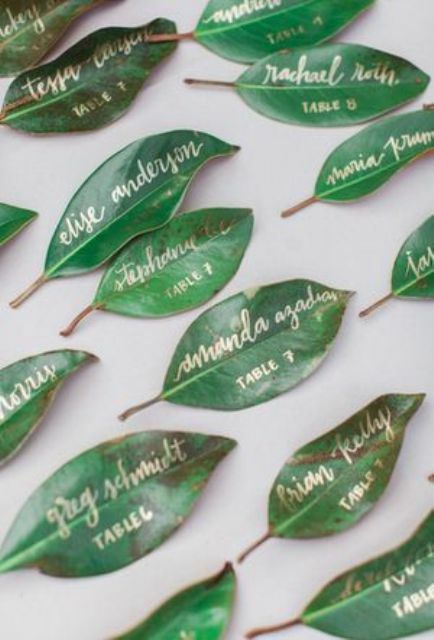 You can ensure that even the trees in your garden are a part of your wedding celebrations by using its leaves as place cards. Some beautiful ink and striking green leaves are everything you need to make these beauties. 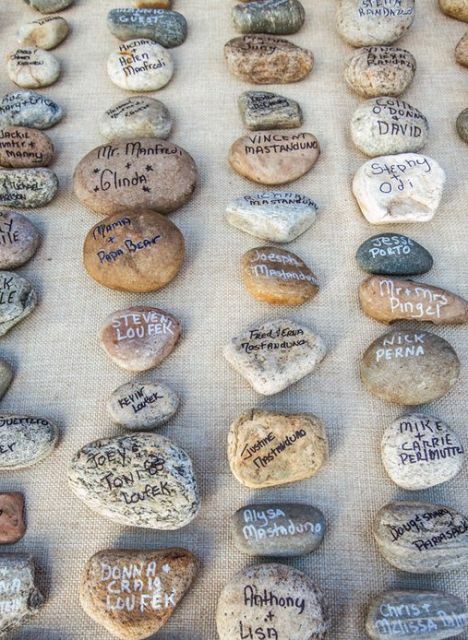 While we are on the topic of place cards, if you think leaves aren’t really a feasible option, then live out your childhood again by collecting pebbles from your garden and writing on them, but only this time, you write the names of your guests. 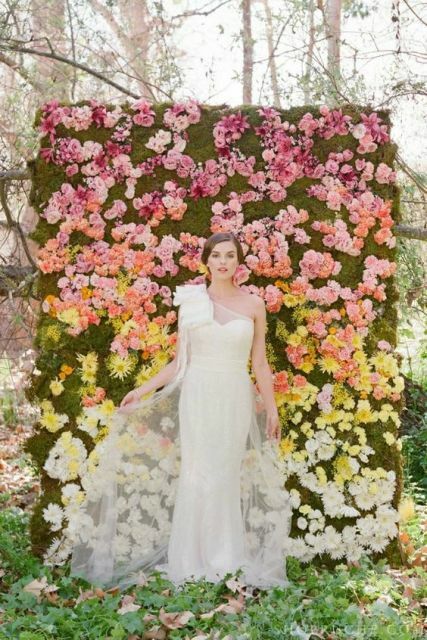 Flower walls are the newest trends, courtesy Kim Kardashian’s wedding to Kanye West. 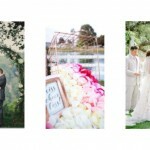 However, they are the perfect addition to a garden wedding, whether it is instead of a wedding arch, or just as a photo prop. 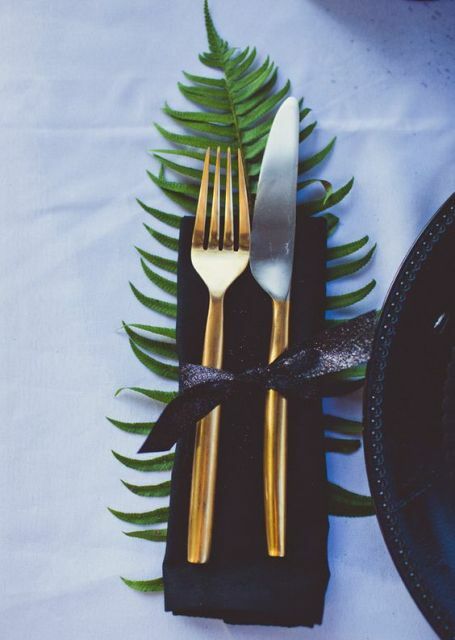 If you are looking for ways in which you can make your tableware look gorgeous, then you can pick out one fern leaf which goes under your table napkin to create this natural, rustic effect. Keeping your drinks cool outdoors is a huge concern, especially when you know that coolers looks really ugly and out of place in a lawn. 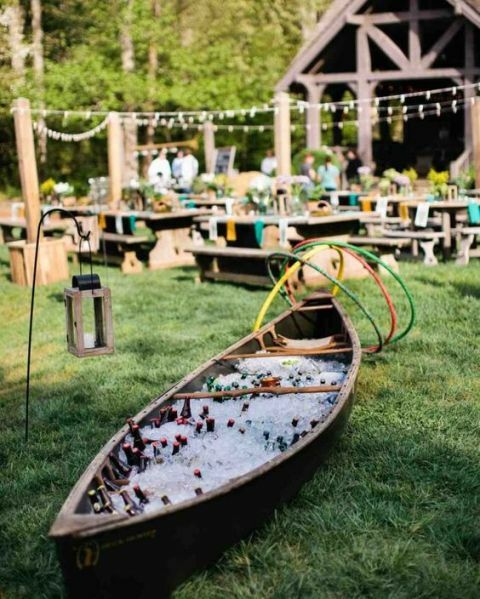 Get hold of an old wooden boat and fill it up with ice for an interesting addition to your garden party. 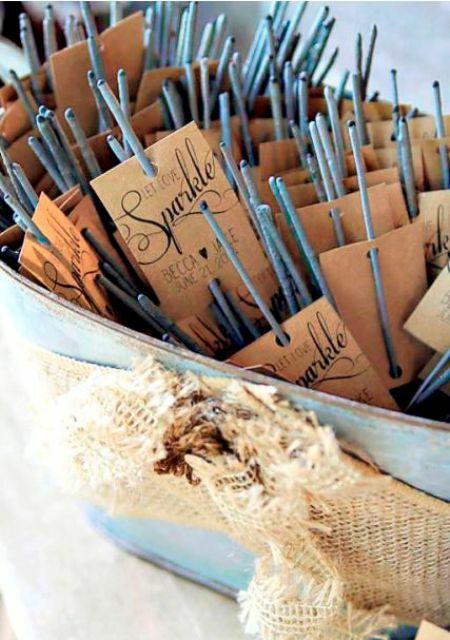 The stars that you can see at night from your garden wedding can be brought down to earth by providing your guests with sparklers, so that you have the most magical send-off from your garden wedding. There is nothing more beautiful than personal installations at a wedding, for your guests to understand the intimacy of the ceremony. 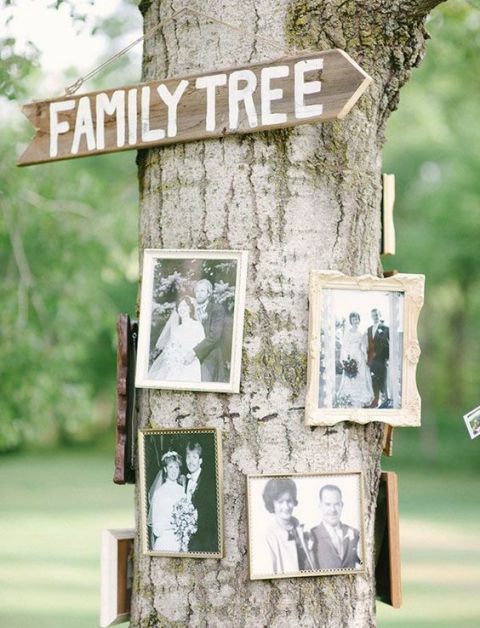 When you are having an outdoor wedding, make use of a tree by turning it into a real life family tree for you and your groom-to-be. I mean, yeah, you could have just used a normal table and then covered it up with a table cloth, but that would be boring. 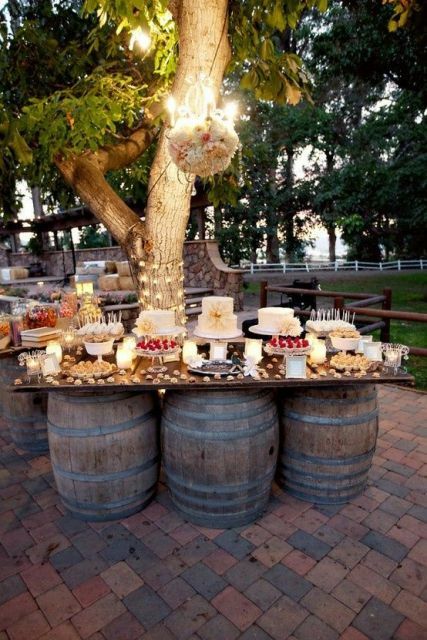 When you are out celebrating your wedding in the garden, might as well celebrate the garden too with all its rustic elements, and what could possibly be more aesthetically appealing than a barrel or two? 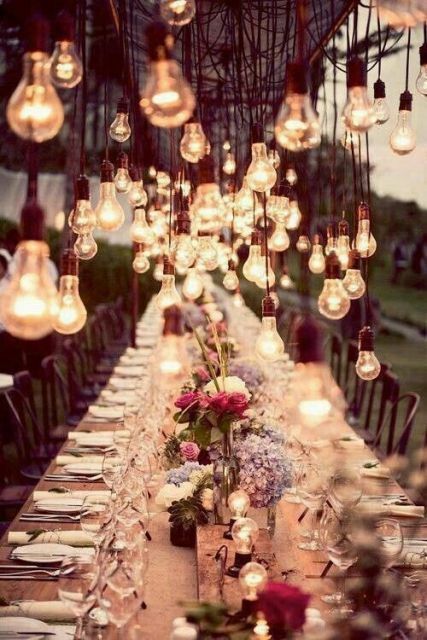 For an outdoor garden wedding, this is all the light and decoration you need, tbh. Even you know that a fully iced and decorated cake would look terribly out of place at a garden wedding. 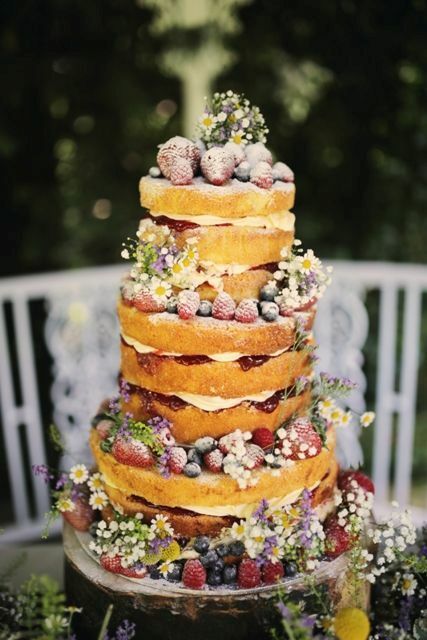 The alternative is a simple, beautiful, fruity rustic, naked cake, which will leave you and your guests awestruck. 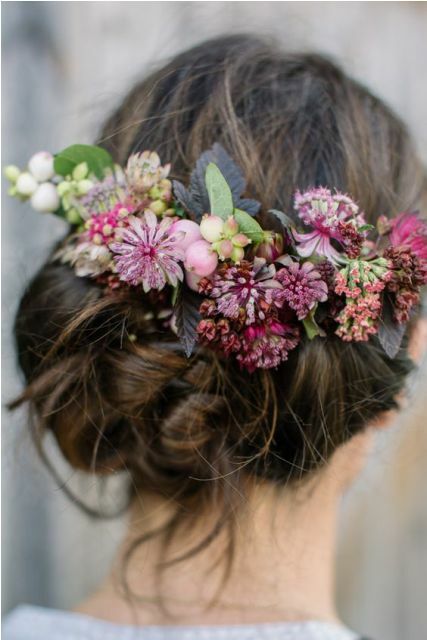 I know there are a thousand places where you can put flowers in a garden wedding, but it is kinda incomplete without flowers in your hair. 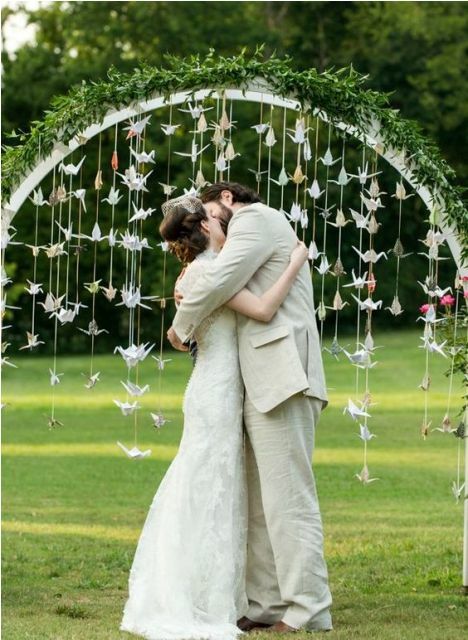 Whether you want to decorate your garden with paper cranes because of something symbolic, or you just want it because they look super pretty, it doesn’t matter because this is one of the more brilliant garden wedding ideas. Basically, a garden wedding is a place for endless opportunities when you want to go nuts with your aesthetics and rusticity. 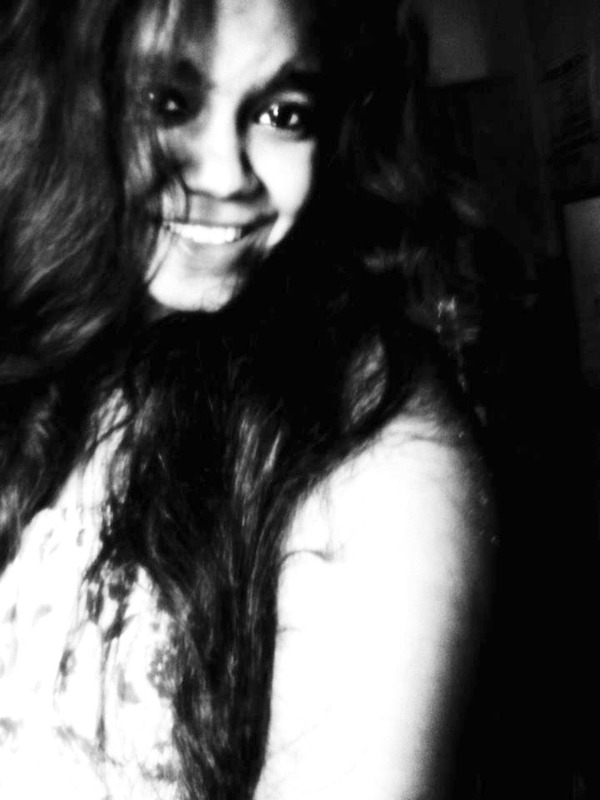 So go nuts! 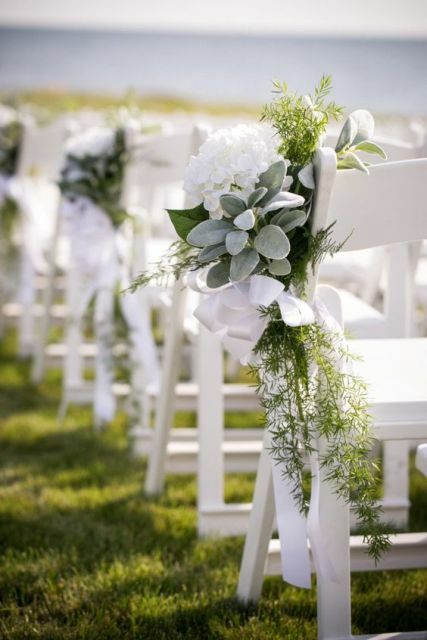 Planning a garden wedding? 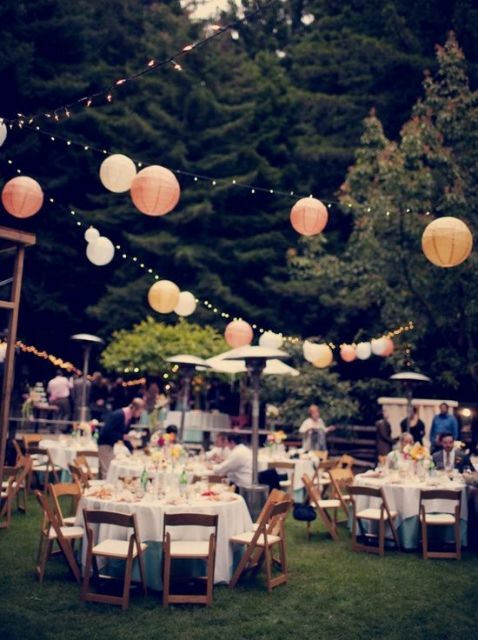 Here are a few charming garden wedding ideas that have make for an unforgettable ceremony! 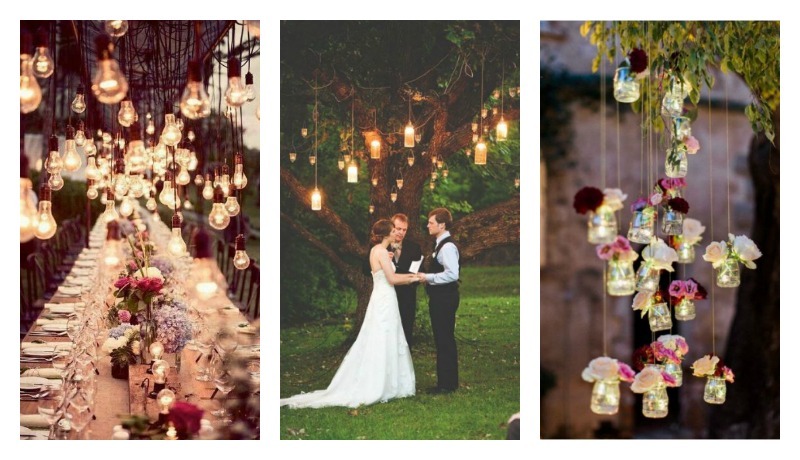 Pinterest Has Released The Top Wedding Trends Of 2016 – They Are Awesomely Non-traditional!